This book is my all time favourite, it has inspired me to write, helped me persevere through health problems and it even helped me to recover after several serious operations. So to be able to listen to my favourite book read so perfectly whenever and wherever is amazing. I love books but one thing that always bugs me is how much room they take up in your bag or how you can't really do other things while you're reading. 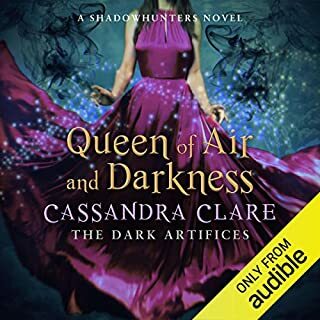 Thanks to this audiobook I can have The Scorpio Races within reach for all of those long car journeys, long nights of insomnia or uni work and even just to pick me up when I'm feeling down. 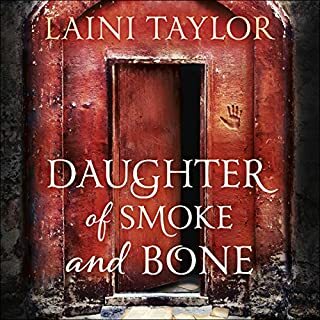 I absolutely loved this book, the celtic inspired setting and the water horse myth were expertly done. The two main characters are so fully formed they're practically real people, and the horses had their own distinct personalities too, as did the island. I was completely absorbed and couldn't stop listening but didn't want it to end. 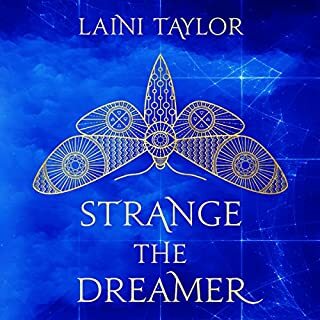 If you like YA fantasy, myths and legends with only a hint of romance you'll love this book. The narrators were fantastic and really brought the characters to life. I can't recommend it enough! 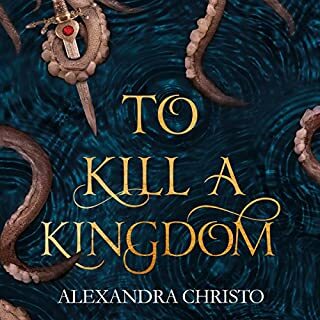 This was a fantastic and thrilling story.I loved the idea of the water horses and like her other work The Scorpio Races is full of flawless prose and engaging characters. I found that the narration was sometimes a little stilted and that is honestly my only critique of this book. The book was a little slow to get into but just helped you get to know the characters. As the story went on, the pace picked up and the story keeps you hooked! Loved the way it was written and the narrators did a great job. Definitely worth a listen. The Scorpio Races is an intriguing read that puts the phrase “battle of the fittest” to the test. Two people who enter the traditional deadly Scorpio Races for two separate individual reasons, come together to help each other out and try to improve their own chances of winning. 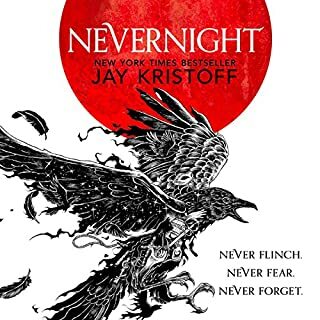 This story has all the elements you would expect to get from a Ms. Stiefvater novel, vibrant and colourful characters and the odd one or two that have a tortured soul. I love how the story is broken down between the two main characters, Puck and Sean. Both have a story to tell and both are very endearing. I really enjoyed this book and there was definitely a nice build up to the final race. 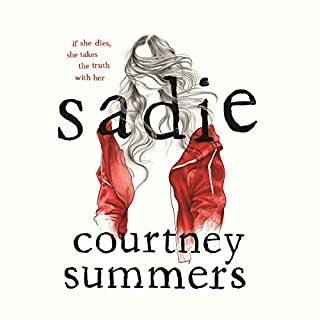 It was a refreshing change to read a novel that was totally different from other stories out there but still had the classic boy meets girl element. I'm a big fan of this author's work but often this can be ruined by the person / people reading the book. Not the case for this author. This book is the perfect blend of fantasy and reality. If you love horses and fantasy this is the perfect novel for both. I debated for a long time about whether or not to read the book or listen to the audiobook. There are some books that are better read than listened to and some that are better listened to than read. Well, after listening to an audiobook sample of The Scorpio Races, I immediately put it on my ‘to listen’ list. I think the performances in the audiobook are worth listening to and really make the book come to life. The Scorpio Races is set in Thisby, a fictional island of the coast of Britain. This island is no ordinary island. Every November water horses, also known as Capaill Uisge, come on shore. These horses are more monsters than actual horses. They are violent horse like creatures that love the sea and blood. Every November Thisby hosts the Scorpio Races, where riders race Capaill Uisge. The story is alternates perspectives between two characters, Puck and Sean. When I first heard the story was about man-eating horses I didn’t quite no what to think. 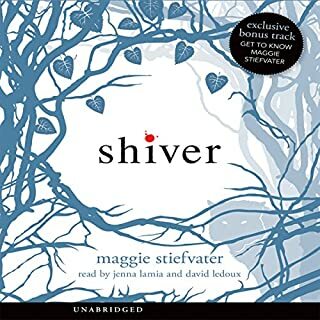 I love Maggie Stiefvater but do I really love her that much. Well, I’m so glad I took a chance on this book because it was beautifully written. It has to Maggie’s best work so far. If you read, or listen, to epilogue you will learn that the Capaill Uisge are actually based off of an ancient myth about water horses. I don’t know about you but this is the first time I’ve every hear of this myth. There are several versions of the myth and Maggie took the bloodthirsty water horse one. I commend Maggie for her bravery in writing this book as it’s probably a difficult pitch to make. I’m grateful the publishers took a chance on this one because it’s so good. 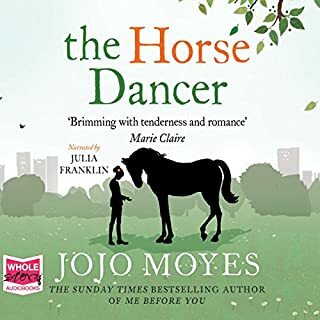 What made this book so good was the originality, the characters, the narration, the writing, the setting, and right down to the frightening horses. I loved it all. Puck and Sean have unique plights and you feel for both of them equally. Puck is trying to save her family’s home and to do so she’s running in the Scorpio Races to win the big money prize. Sean is the horse trainer for the richest man on the island. Among one of those horses is the Capaill Uisge, Corr, a horse he’s known since childhood and shares a strong bond with. Only the horse doesn’t belong to him it belongs someone else. Sean rides in the races every year with Corr and has won them 4 years in row. There is a slight romance in the book but The Scorpio Races is not solely about a love story. I don’t mind that the romance plays such a small role because the book doesn’t need it. When it finally happens it’s more sweet that angsty and that is such a relief from the norm. The narrators were phenomenal and their British accents made you feel like you were in Thisby with the characters. Sean’s character did sound a lot like Clive Owen, which was cool but sometimes it made me picture him as Sean. I got passed it though and I didn’t for a second regret listening to the book instead of reading it. Clearly, I recommend this book since I loved it so much. If you are in the mood for something completely different, The Scorpio Races is the book for you. I think older teenagers and adults would love this book. It’s a beautiful book, so don’t hesitate to read it. 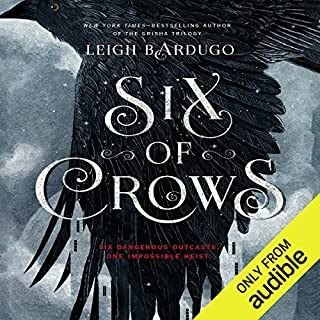 I admit, I was very skeptical about The Scorpio Races, (I wasn't a big fan of Shiver) and possibly would have put off reading it even longer if it wasn't for amazon sending me two free audible credits. I thought, why not give it a go, since it's free! I have one word for everything The Scorpio Races lead me to feel: MAGICAL. It was breathtaking, heart-wrenching and lovable. 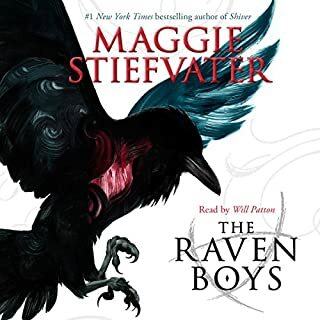 The audio-book was AMAZING, the music (created by Maggie herself) and the two voice actors who played Puck and Sean were first class. They had all the different voices and the right emotions at the right times aced, which made the experience all the more magical. 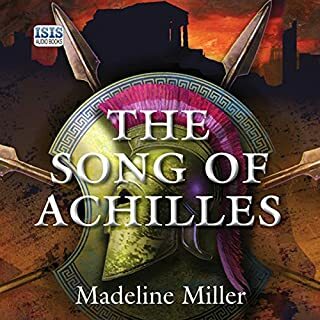 Fans of Mercy Falls trilogy will either love or dislike The Scorpio Races; Maggie mentions in her section at the end of the audio book that it is very different from the Mercy Falls trilogy, and doesn't have kissing every second page (her words not mine!). 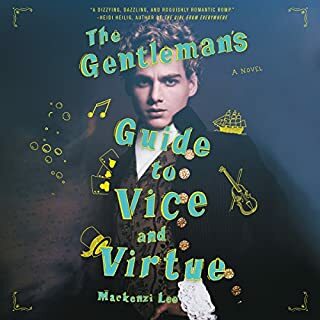 I loved this book so much that even though I have audio, I'm going to have to go buy a hardcover copy, because I just have to have it! 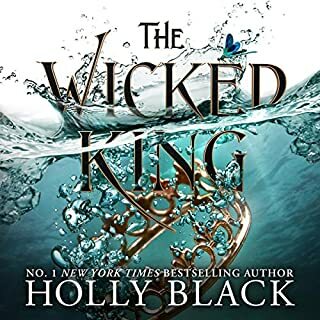 The cover is beautiful and after reading a few reviews I'm interested to see how some things are spelled, since I was hearing the pronunciation of capaill as: 'kapal-ishka' I always wondered why Holly was having a hard time with the pronunciation, but after seeing the spelling, I understand! 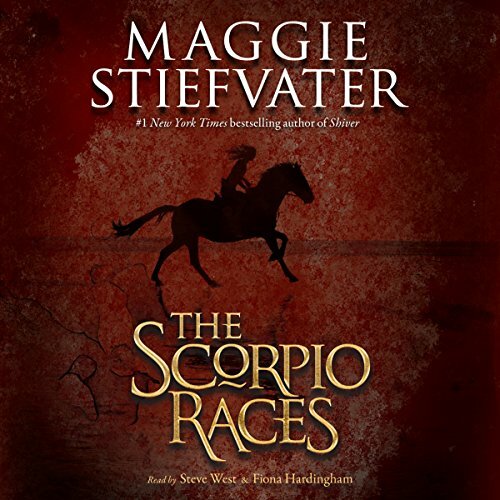 I think that reading The Scorpio Races would lead to an all new experience after listening to the audio-book and I'm excited to plunge into world Maggie created all over again. The island was amazing, the characters were fantastic, the horses were breathtaking - both of land and sea! and especially the bonds that Maggie created, simply bewitching. Gabe, I just wanted to punch him! In the end I understood him and his reasons, but still wasn't that impressed. Finn was adorable and I want a little brother just like him! (Maggie said she wouldn't be writing anymore books in this world, ever. But I would love to see a book with Finn as the main character, hell actually I wouldn't mind a book featuring Holly either) Holly was a hoot and I loved Steve West's American voice for him! I adored so many characters, and I'll keep listing them all if I continue. I haven't forgot Puck and Sean either... the slow build up of their relationship was fantastic, no insta-love here! Watching them ever so slowly shift themselves into each others lives and how highly they came to think of the other while thinking so little of themselves, enraptured me. I found myself being tugged along with them at the slow pace, content to let their relationship unravel and not screaming at them to hurry up (which I'm guilty to doing at a lot of books that are either to slow or fast). Then there was Sean's simple one liners that had so much impact and meaning that managed to not only set Puck's heart a-flutter, but mine also! And Puck was such a whirlwind against Sean's steady self and seeing them slowly come together is well worth the read, and ooh boy the tension! I could go on and on about The Scorpio Races, but would probably just end up repeating myself, However this is an absolute must read! If you are one of the skeptical people like I was, read it - you won't regret it! The Scorpio Races gets a special place in my heart residing amongst my favourites. This book came highly recommended to me from a reader I trust completely, or I never would have tried it. I'm just not into dystopians, they make me sad. And I don't want to read about horses. I have horses. They are wonderful, beautiful creatures, but I don't want to read about them. Leary as I was about the whole thing, though, I fell in love with The Scorpio Races by chapter three. It's not about horses so much. It's about a girl and her horse and a boy and his water horse (a dangerous sea creature). It isn't even about a race really. It's about an island and its people. It's about life and death and struggle and hope. And love. I've heard people say it isn't a romance, and I agree, but there is beautiful love story here. No sighs and gasps, it's more like background music. But's it's wonderful, and it was one of my favorite aspects of the story. The humor was equally as subtle and brilliantly done. The setting was brought to life so vividly, the island became almost magical. The author did a great thing by introducing a straight player - the American - to remind you of the contrast between the two worlds. Once a year, the island of Thisby transforms for their only call to fame - the Scorpio Races. Main characters Puck and Sean's stories are told in first person point of view at varying chapters (this is very well done, by the way). The water horses have taken both their parents, leaving Puck to barely scrape by with her older and younger brother, and Sean to earn his bread from the horse races (training and riding). Upon learning that her elder brother is leaving the island for good, Puck declares she's running in the Scorpio Races in a desperate attempt to keep him home and hold their lives together for just a little while longer. Because of fear, and because the beasts killed her parents, she enters the race with her almost-a-pony horse, Dove. Sean, having a knack for controlling the dangerous sea horses, is a trainer and a favorite to win the races. But he wants out from under the control of the island's largest stable owner, and more than anything, he wants his horse, Corr. Being the first woman ever to enter the races and the only person not on a water horse, Puck becomes a target for everyone. The only thing saving her, is Sean. Would you consider the audio edition of The Scorpio Races to be better than the print version? I didn't read the book, just listened to the audio. As a mid-30's mom, I love the gentle fantasy style of stories, such as Twilight. I like the fantasy, a touch of romance, humor...but nothing that would be disturbing! As this generally falls into the category of young adult fiction, often the plot can be a little on the thin side. Therefore, I was pleasantly surprised at the Scorpio Races. It kept me guessing, right up until the end of the book. There wasn't predictable romance, on every page.....the characters were nicely human (believable), but charming. I wondered how they would really solve all of their problems, and liked the fact that not every little issue had a tidy ending. Some were actually left, for us to ponder over, but not in a disturbing way. We were left, feeling like maybe the big brother was a bit flaky, if understandably so. The younger brother had a mental illness, which was accurately depicted. (I have O.C.D., and can attest to this.) No one ever came out and mentioned it; it was just a part of their lives, and despite his flaws, this character was sweet and charming! So we are left with the idea that, while the family members were imperfect, they could all still be a family, and love one another. This was refreshing. This was a nice listen, that I would recommend! I should offer a warning, that there are some not-so-gentle, bloody parts...I am very sensitive, but I did survive~ and it didn't outweight the nice parts of the story. I have not read the print version. 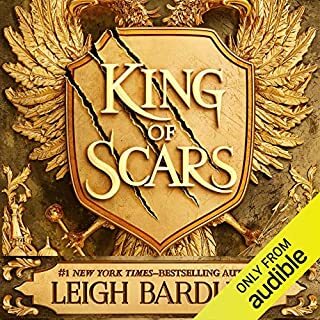 The audio edition was outstanding due to the amazing voice work of the narrators. Everything. Exceptionally well-written. The prose was almost lyrical at times in its use of language. Exceptionally good development of Puck, Sean, Corr, Dove and the island of Thisby. I felt like I was there living the story. What about Steve West and Fiona Hardingham ’s performance did you like? It was perfect for the characters and drew me in completely. Too many to note, although the ending was exceptionally moving with Sean and Corr. Can not recommend this highly enough to anyone who loves a good, well-written story--especially one involving horses. Somewhat took me back to my childhood of getting lost in the Black Stallion series. Maggie Stiefvater has done it again. This time with a well written dystopian novel about carnivorous water horses that come out of the ocean each year. They are captured and raced by the islanders with deadly results which attracts tourist to the small island. Like her Wolves of Mercy Falls series she had modified the mythology just enough to lure me into their world. It's hard to believe that this is just another young adult novel. Maggie does a fantastic job of creating well rounded, believable charters through both their actions and conversation. Puck enters the race as a attempt to save her family, while Sean is a four time champion. This time he is racing for more than just a title. Reading from the authors unique dual protagonist style allow us a glimpse into both Puck and Sean's internal struggles. While the story was obviously building to the climatic race Maggie didn't short change us in resolution which is rich and meaningful. I have read all of Maggie's books, and this is by far her greatest work. The point of view of Puck Connolly is read by Fiona Hardingham. While Sean Kendric's perspective is read by Steve West. 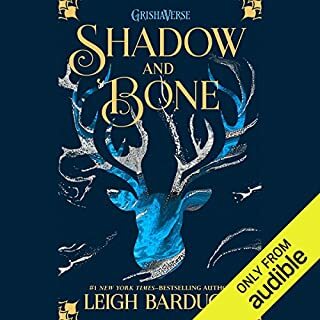 I encourage you to listen to this book if you have the opportunity; in my opinion, their voices make a huge impact in identifying with the characters. Fantastic book! Amazing and different. Really glad I downloaded this book. Thank you to all who praised it, so that I would chose to buy it. The characters had so much depth and purpose. I felt that I knew them and was experiencing what they were experiencing. The story was very imaginative and believable. I often questioned whether there really were "water horses" somewhere. Great choice of location for the story, very descriptive. Don't hesitate -- listen to this book. What did you love best about The Scorpio Races? The characters - from Puck and Sean, through secondary characters like George Holly and Finn, not to speak of Dove and Corr (as the horses, both ordinary and water horses, are certainly characters in their own right). The narrative: the two viewpoints added nuances and shifts in experience that, while separate, united seamlessly into one narrative. Which character – as performed by Steve West and Fiona Hardingham – was your favorite? I can't pick! I would have to each Sean and Puck - Sean performed by Steve West, and Puck by Fiona Hardingham. The ending was beautiful, and the race itself, though a long time coming, was an excellent culmination of a lyrical, well-written, and beautifully read book. Would you listen to The Scorpio Races again? Why? 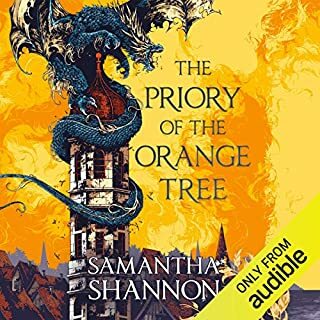 I usually wait years before rereading a book, but after finishing this audio, I immediately started over from the beginning and am enjoying it even more the second time. Everything. This story is amazing. The characters are all so real and everything fit together perfectly. All of them. I can't remember the last time I was so invested in a book. This is hands down the best audiobook I have ever listened to. The narraters were both amazing and fit the story perfectly. They added a special magic to an already extraordinary book. Even if you hate fairy stories, read this! I was determined to not read this story. 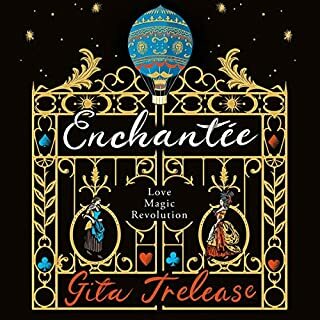 I don't like fairy stories and I'm not keen on animal tales either, but so many good things had been written about this book I gave it a chance. I fell in love with the written story, so I had to listen to it as well. It is now an all time favorite of mine and I am always pointing people in the direction or this wonderful novel. The story follows Puck (Kate) and Sean, and is told in their alternating points of view. They are both competing in the annual Scorpio Races; a dangerous, free for all race involving captured fairy horses. Puck is not only the first girl to ever compete in the races, but she plans on riding her non-magical island pony. Puck is trying to save her family home and Sean hopes to win the ownership of Corr, the sea horse he has won the race with in the past. Instead of becoming adversaries, they begin training together and learning from one another. The contrast in their personalities is sharply drawn. Puck is brash, irrepressible, and always willing to pick a fight; whereas Sean is a quiet but strong presence at all times. My favorite scene that shows the contrast is when they wish each other luck before the race. The rest of the novel works as well, from the setting (an island with a distinctly Irish feel), to the supporting characters. You feel as though Ms. Stiefvater just took up residence there, sat around the pub and listened to local folklore. The actors who read the parts did a wonderful job. They never tried to take over or overact the roles. They just let the story flow in it's own elegant manner. This kept me surprised up to the very last line and had me thinking about it for days. 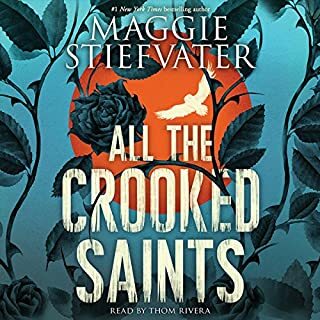 It is Ms. Stiefvater's best work yet.